People find that decorating the beach house is an expensive task. Yes, it can be, but only to a certain extent. 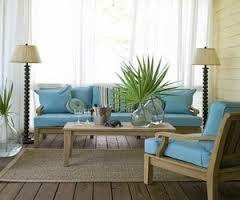 Beach house furnishings is not as cheap as you think and it demands some efforts from the owner. The most important aspect while designing the interiors of the house is to keep in mind the space available inside the house. Unless your beach house is a 5000 square foot mansion, you have to be concern about the space restrictions while designing the house. Small size furniture can really help you to get rid of the space restrictions along with proper comfort and appearance of the beach house. In fact, small furniture provides more options as compared to the big deals of furniture. Cost is an important factor to focus upon while going for beach house decorations. You have to adopt some smart plans just like spending on some worthy cheap things and spending more on the necessities. Furniture is something in which you spend money as per the comfort you require from it. Even the latest designer furniture in the market available for beach houses is small and ready to assemble. There are many options in the market from which you can buy ready to assemble furniture which comes out as a nice fully fledged furniture in a good deal of money. You can actually buy high quality and standard ready to assemble pieces such as sofas, ottomans, love seats and chairs etc. which are incredibly attractive and properly fit in the decor of the house. The furniture is a bit high in prices but provides for lifetime durability because the pieces are made of finest material and can fit itself into smallest places along with the comfort to moving around with ease. For beach choices there are many wonderful ready to assemble furniture which can blow your mind. There are latterly numerous patterns and designs with outstanding fabrics, slipcover combinations and patterns. There are no beach themes in the world whose complementary furniture is not available with this ready to assemble designs. Buying RTA can prevents you from spending lots of money every third or fourth year in buying the furniture of beach house. The prices are paid once and durability of these is appreciable. There is no better solution than RTA implementation in your beach house. These are not only comfortable but also very easy to clean. The best RTA furniture available in the market is made up from Oak wood. These provide guarantee for lifetime frames and are available in larger choices for the customers. You can usually catch the quality of the ready to assemble furniture by appearance of the frame constructions. The cheap stuff is constructed with low prices plywood or least priced wood. Therefore, decorations of your beach house with the ready to assemble and small furniture is not a stressful task. It only employs onetime a little extra cost to your pockets while purchasing them and if you compare the ready to assemble furniture with the market options, you will definitely see the best one clearly. A beach house is a dream for many people around the world and on the same side a fabulous reality as well for many. However, it is not always that people decorate their dream houses with lamp shades and lights shaped like boats. Those were some old and traditional ways of decorations. Now, you can go for some modern ways now to decorate your beach house. Modern designs for beach house demands simplicity. Everything from decor to flooring and wall paints to gardens, has to be simple and clean. Simplicity is the beauty of beach houses. While modernising your beach house, the best theme must be nature. All you need to do is look at the colours of nature, the sky, sea and sand. You will definitely be inspired by some good ideas and colours for your beach house. You must keep simple designs of furniture at home with clean lines and simple fabrics; this will keep your beach home looking natural and nautical. The couches and chairs of your living room must be complimentary to the theme of the house. If your walls are some bold in colour, then choose the lighter shade in furniture. Don’t leave the trend and style behind while choosing the furniture but more importantly, don’t to go for heavy furniture pieces. These days, the market is filled with some great and simple combinations of wood and metal. This can be the best for what you are looking for. Before buying remember about the quality and durability. Beach is the area of moisturized air and sand. It is very usual that your furniture can get corroded with sea salt water and sand, so buy the pieces with resistant properties. Along with furniture, fixtures are also very important for finishing and adding glamour to the house. There are some modern and chic lamp shades at the market. At sunset, when these lamps will be lighted inside or outside the house, the view will definitely fill your mind and heart with soothing waves and calmness. The combination of beach view and lamp shades provides a marvellous look. Glasses are very much used in modern houses. You can add some thick and colourful glass instead of any wall at the house. Lighting is very important so choose them as per the beach theme for the interiors of the house. In order to create a calming environment at your beach house, you must adopt soft and natural colours for the walls such as cool aqua, sandy, eggshell white or light celery green. These are some basic colours for beach theme. Accent walls are very popular for designing modern house decorations by making your home feel calm and cool. Keep the walls of the beach house clean and simple. You can prefer some black and white photos with natural wood frames. Take the advantage of geometric shapes of nature such as starfish or sand dollars on the walls. This art will make your interiors more inviting and less clinical. There are many modern ways to decorate your beach house and simple guidance is the nature which provides you all designs and colours. If you have recently purchased a beach house, then the things revolving in your mind must be about the interiors and decorations of the house. An important part of designing the house is choosing the appropriate furniture for your beach house. Naturally, the furniture of the house will be influenced by your choice and taste, but in this article there are some matters to consider before selecting the furniture for your each house. If your beach house is situated somewhere quite near to the sea shore then you should choose the furniture with an aim of accentuating the view. Many times, people mess with up the complete experience of a beach house with some uncomfortable and unsuitable furniture that totally block the beach view. What we are discussing about is, buying furniture which is not too far below the level of windows, for people sitting on it to have the sea view. 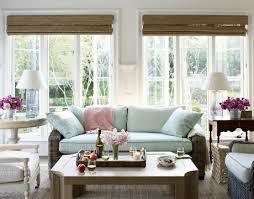 Along with it you must avoid heavy curtains on these types of windows to hamper the view. Thus, the best furniture of your beach house must be the one which accentuates the view rather than blocking it. Appropriate furniture to put in your beach house must be the one which co-ordinates with the sea side as well as the interiors of the house. Unfortunately, people choose the furniture suitable to the interiors of the house overlooking the sea side view, without any coordination. On the other hand, if you provide complete attention to the sea side view furniture, then the whole interiors of the house will be messed up. So in reality, only that furniture must be chosen which is suitable for both the conditions of the beach house. 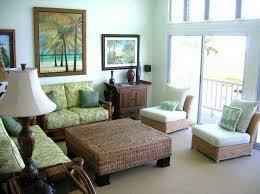 The best furniture of the beach house must be the one which is easy in handling and maintaining. 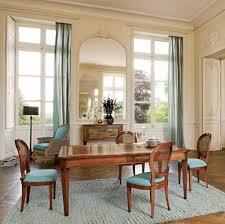 Avoid using fancy furniture which creates problem for you in cleaning it from time to time. You cannot buy any furniture for the beach house from any furniture store. There are specialised stores in the market with light weight and easy handling, cool classic furniture for the beach house in various modern designs. If you have decided to rent a part of your beach house, the best furniture for this decision is the type that has a universal appeal to attract the tenants. Always remember that furniture is the only factor on many occasions, when outsiders reject some perfect beach houses. So prefer to add some modern designs and comfortable items for designing the beach house. Beach furniture is not too costly to buy. You must be thinking that the best furniture will burn a hole in your pockets but it is not so. In fact, beach furniture is usually very economical and within the financial reach as they do not employ extra fabric or wooden work. Remember that the best furniture must not be expensive, otherwise you may end up resenting rather than enjoying. These are some characteristics of best furniture which everyone must follow before going out to shop for your beach house.